UPDATE: Currently in France, there are 84 dead. The attack was perpetrated by a Tunisian. As many as 84 people are believed to have been killed in the French Riviera city of Nice after a van rammed into a crowd after the annual July 14th celebrations in what has been described as an “attack”. AS MANY as 75 people were killed in the French Riviera resort of Nice on Thursday night when a truck ploughed into a crowd celebrating the annual July 14th Bastille Day celebrations. The horrific incident was described as an “attack” by local officials and counter-terrorist investigators have been brought in to to charge of the probe. 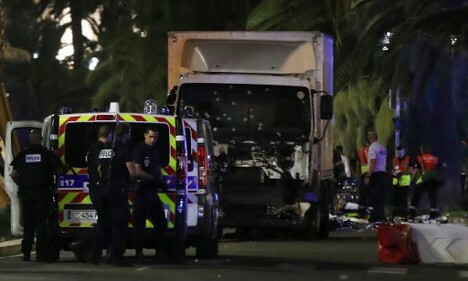 The government said the driver of the truck was shot dead after barrelling down the palm-lined Promenade des Anglais sending hundreds of terrified people fleeing and leaving the seaside road strewn with bodies. “The driver of a van appears to have killed dozens. Stay in your homes for now. More info to follow,” Christian Estrosi, president of the region, wrote on Twitter shortly after the incident. Reports say the truck ploughed through the crowd over a distance of 2km which explains the huge death toll. Witnesses also described hearing gunfire though this was not immediately confirmed. A witness told the Associated Press that he saw the truck driver emerge from the vehicle with a gun and start shooting into the crowd. Later in the night regional president Christian Estrosi said the truck was carrying fire arms and grenades. An official said the truck driver was killed with images showing the windscreen of the white truck riddled with what appear to be bullet holes. “There was carnage on the road. Bodies everywhere,” Wassim Bouhlel told AP. Pictures posted on Twitter, many of which are too distressing to publish, showed bodies lying on the road, some victims were being tended to by paramedics. A large white truck with windows smashed was cordoned off by police. The French president François Hollande returned to Paris to hold crisis talks with his government after hearing about the incident. Interior Minister Bernard Cazeneuve was heading to Nice. Local police chiefs in the Riviera city have warned residents to stay at home, according to French radio. “People are running, it’s panic,” a local newspaper journalist from Nice Matin was reported as saying. An AFP reporter described seeing a white truck driving at high speed onto the famed Promenade des Anglais as people were leaving after the annual Bastille Day celebration display. Terrified pedestrians screamed as they fled the area. “It was absolute chaos,” he added. Soldiers and armed police flooded the streets in the centre of Nice following the carnage. 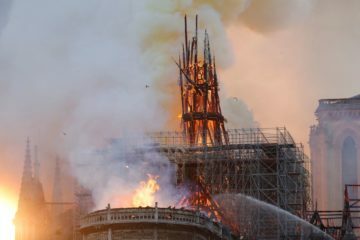 The incident came just hours after France announced that a state of emergency declared after last November’s attacks would come to an end later this month. Speaking on the national July 14 holiday, President Francois Hollande said the decree after the November 13th attacks would not be renewed beyond July 26th, because a law bolstering security in France was adopted in May. WHITES – YOU HAVE BEEN CARRYING TOO MANY SCORPIONS! Whites who have bought into the whole “liberte, egalite, fraternite” nonsense will not need to remember a thing as their destiny is the grave. Such is the fate of those who buy into destructive ideologies. Let’s instead reach out to those who have more sense and carry the best quality genes to look into and consider adopting a new life-affirming White consciousness–which is to say Cosmotheism.